I woke up this morning to a view overlooking the Forbidden City from my hotel room’s floor-to-ceiling windows in Beijing, China. 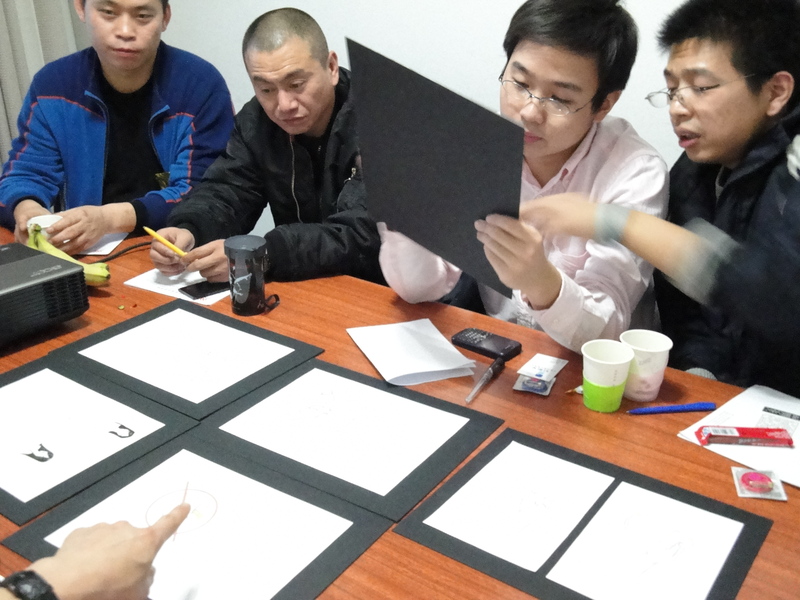 After going through several taxi drivers who did not know how to find the address we were given, we finally made our way to the China HIV/AIDS Information Network (CHAIN) in the Xuanwu District for a day full of focus groups about our new female condom animations. I loved how both the groups of women and men at CHAIN continuously made the suggestion to include “Special Tips for the User” in our FC animations, encouraging us to use big letters and loud voices to emphasize the important points. Both groups also made the comment that the Asian character in our film looks like the Disney character Mulan (who, incidentally, I played during my time as a Disney Castmember 😉 ). 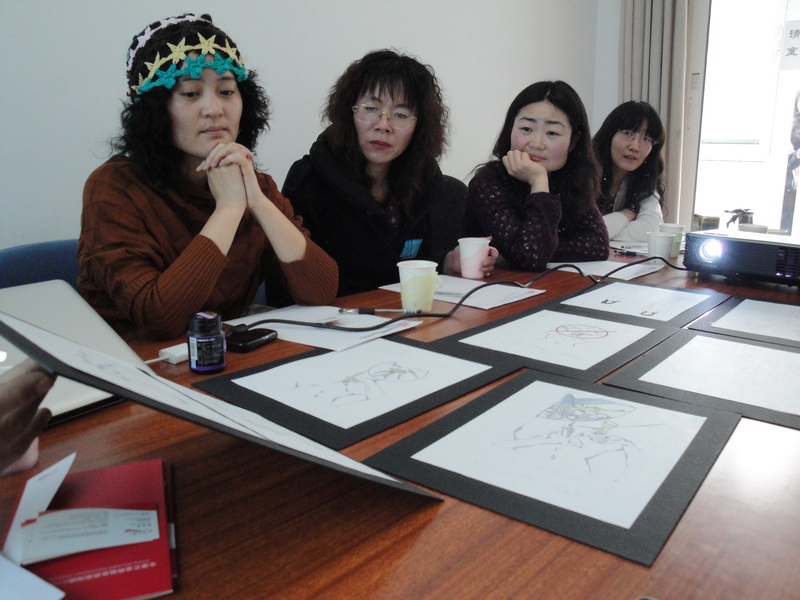 The men’s group pointed out that this is a typical way for Americans to draw Asian people, but if we really want to see Chinese illustrations for and by people in this culture, we should seek out local drawings to influence our work. 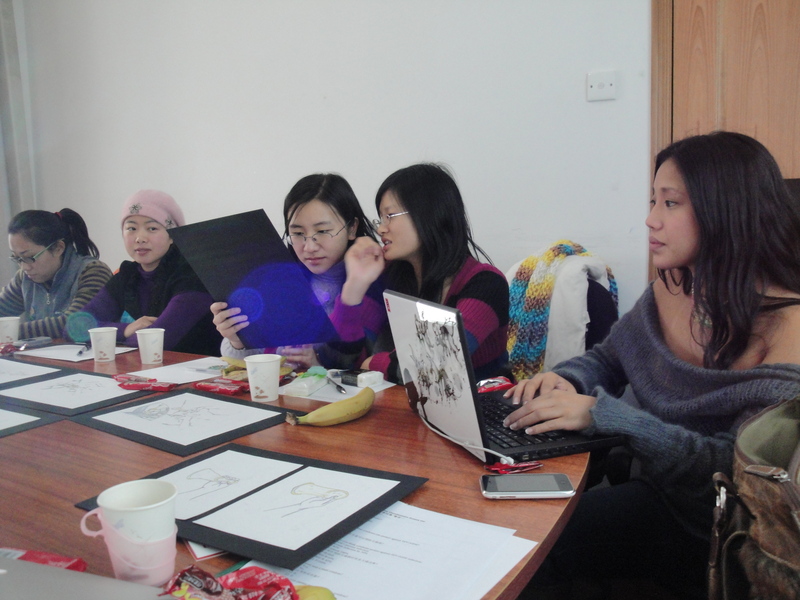 After the women’s focus group, the staff at CHAIN took us to lunch at a local restaurant that specializes in the cuisine from the Hunan Province, well known for its hot and spicy flavor. 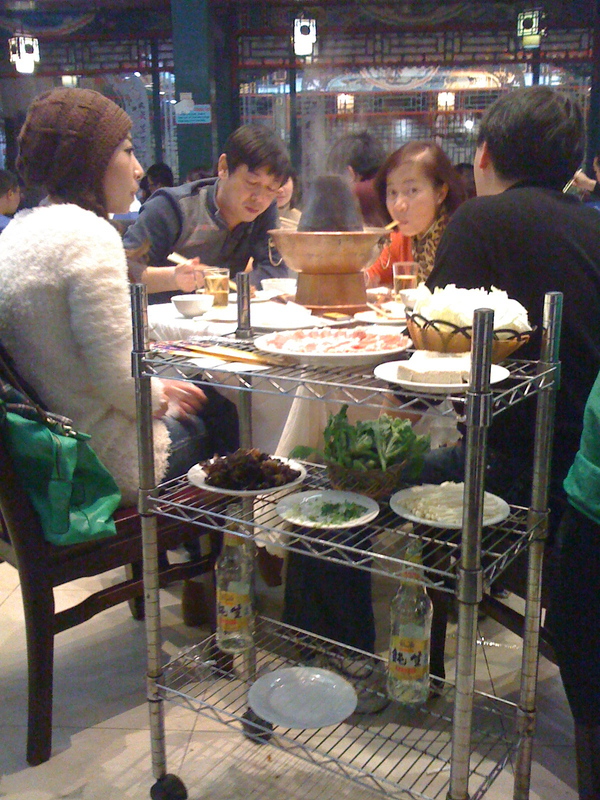 We sampled many dishes around a “lazy susan” type of glass wheel in the center of our table, including a dish that is the specialty of Chairman Mao’s hometown. 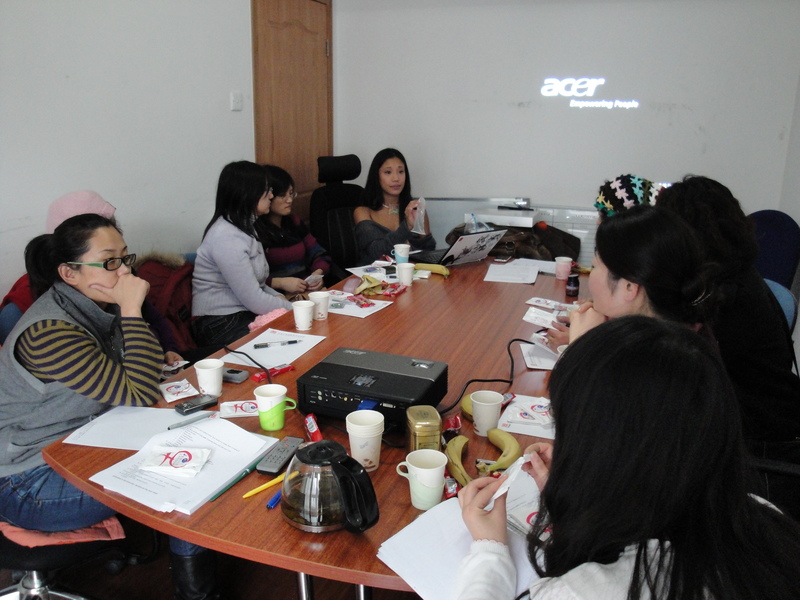 We returned for our final focus group with men at the CHAIN office. 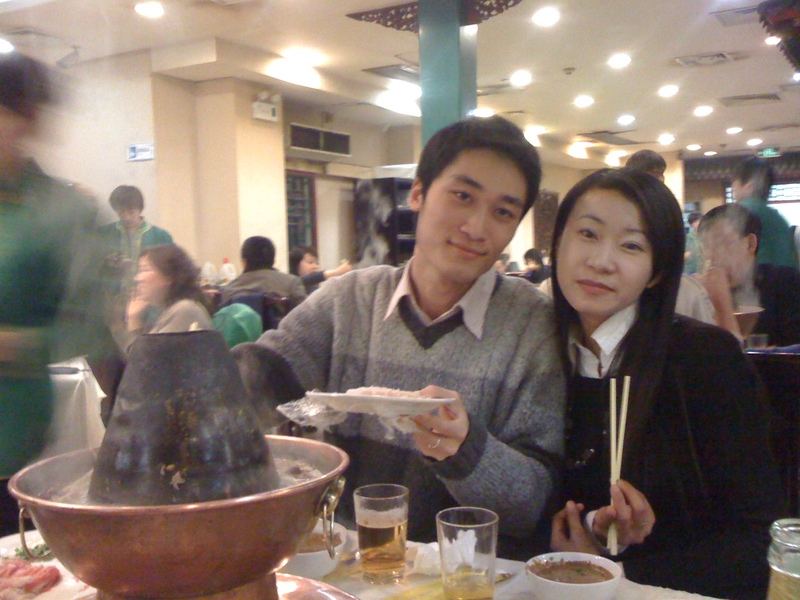 After concluding our work at CHAIN, we met with our translator Louicy Liu (yes, her name is pronounced like Lucy Lu) and her boyfriend Xuxiao, who took us out for a traditional Chinese Hot Pot. 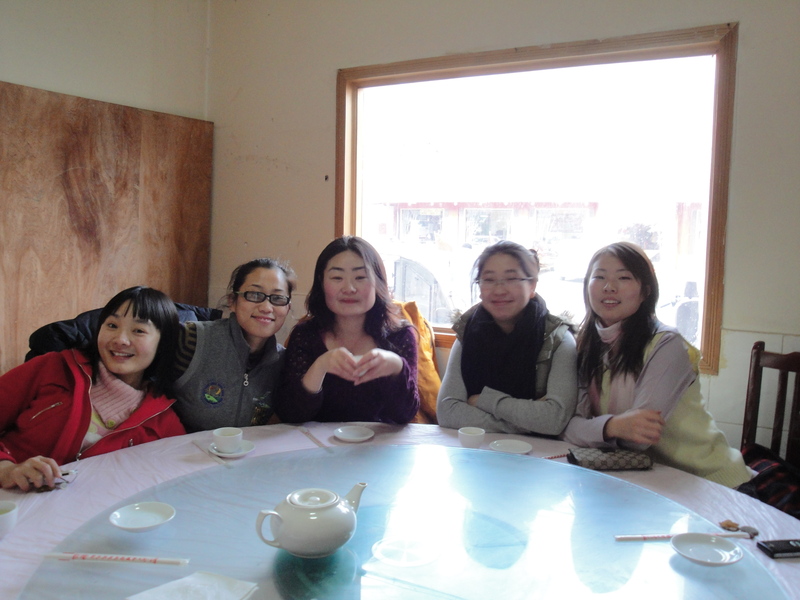 She told us that this is a favorite dinner for Chinese people in the wintertime. The table next to ours at dinner... I wanted to eat their food, too. And now we are heading to bed, resting up for our big day on the Great Wall tomorrow! Photos coming soon 🙂 Until then, wǎn ān.